How can anything with these ingredients be bad? 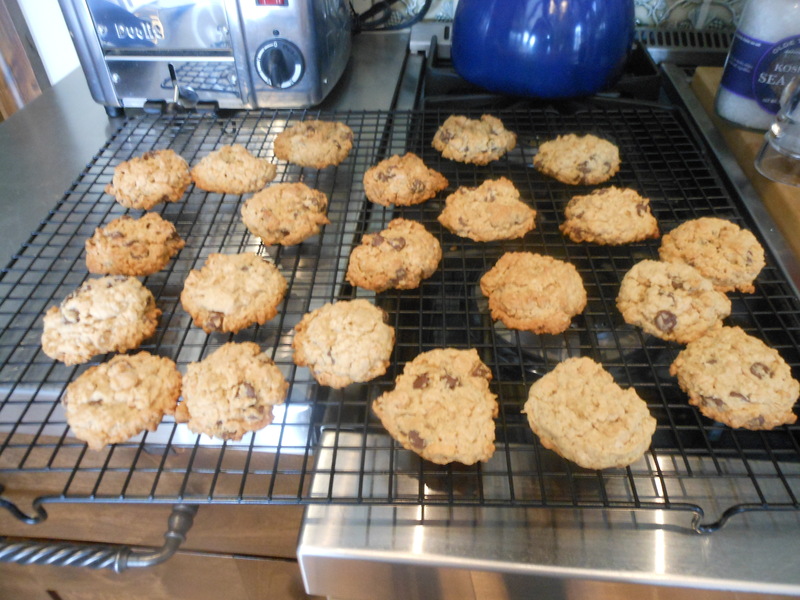 I suppose you have to love Peanut Butter and Chocolate Chips and the way that rolled oats makes almost any cookie taste better. I actually froze these and ate them right out of the freezer, and they tasted awesome. They of course taste delicious at room temperature, but I made so many and the bag is right there on the door of the freezer that I couldn’t resist. Bit into it frozen and it was so good with a hot cup of tea! Awesome snacking going on here. If you’re so inclined go for this recipe, there are a lot of ingredients but if you’re a cookie baker this one’s worth trying. *now this recipe yields one hell of a lot of cookies so feel free to cut recipe in half. I made full recipe which is why I have so many in my freezer. Why not make whole recipe? 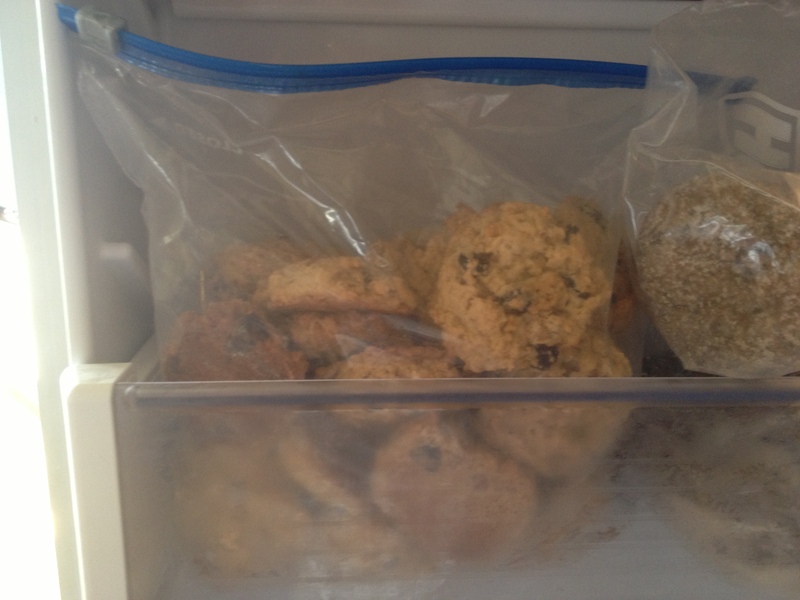 then you have cookies in your freezer for whenever you may want them. They do defrost super quickly. Preheat oven to 350 degrees. 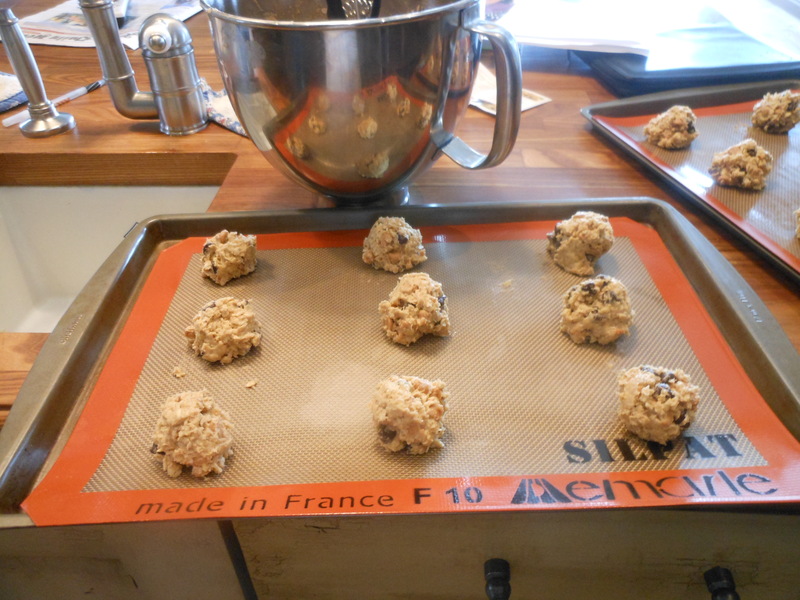 Line cookie sheets with parchment paper or silpat sheets. In a bowl, whisk together flour, baking powder and salt, until well combined. Set aside. In another large bowl, using an electric mixer on medium speed, cream butter, peanut butter, sugar and brown sugar until light and fluffy, about 3- 4 minutes. Add eggs one at a time, beat well after each egg. Beat in vanilla. Scrape down the side of the bowl. On low-speed or using a wooden spoon, gradually add flour mixture , beating until just combined (don’t overbeat) gradually stir in oats. By hand, fold in chocolate and peanut butter chips. Using a cookie scoop or spoons, drop tablespoonfuls of dough about 2 inches apart on prepared cookie sheets. Bake one sheet at a time in preheated oven for between 12- 15 minutes or until edges start to turn lightly golden. I removed cookies to wire cooling rack to cool completely. As I continued to bake other sheets of cookies. 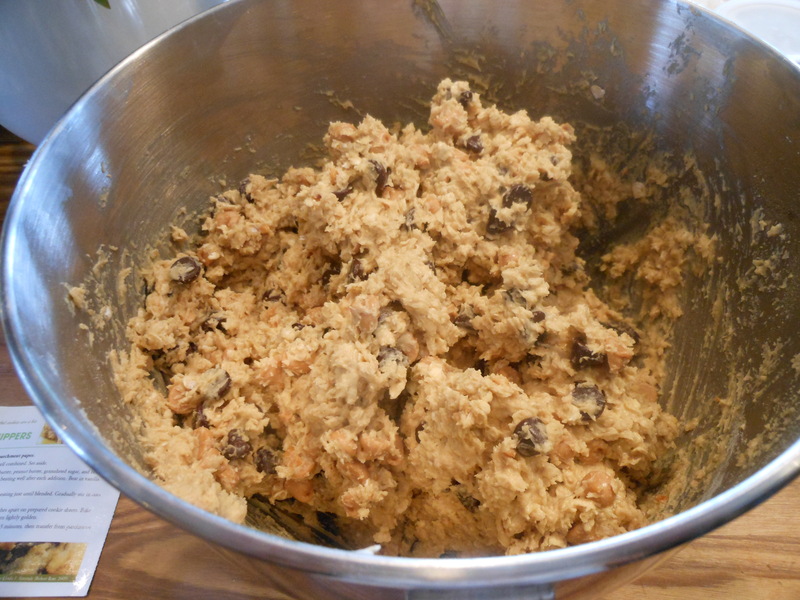 *makes betweenn 4 – 5 dozen cookies, depending on size of cookies you make. They freeze very well . 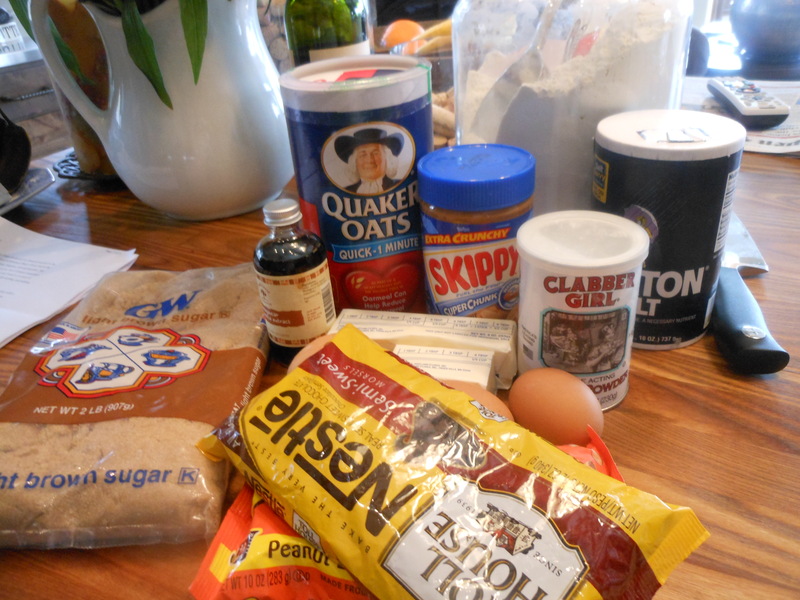 This entry was posted in cookies, dessert and tagged peanut butter cookies, Peanut Butter with chips and oats. Bookmark the permalink.